Kind of like roasted chicken, oatmeal is something a lot of people don't enjoy because they've never learned how to prepare it properly. In my experience, gently toasting the oats in olive oil prior to making the oatmeal makes a huge difference. What you put on top, well, that's up to you! In a medium saucepan, heat olive oil over medium-high heat. 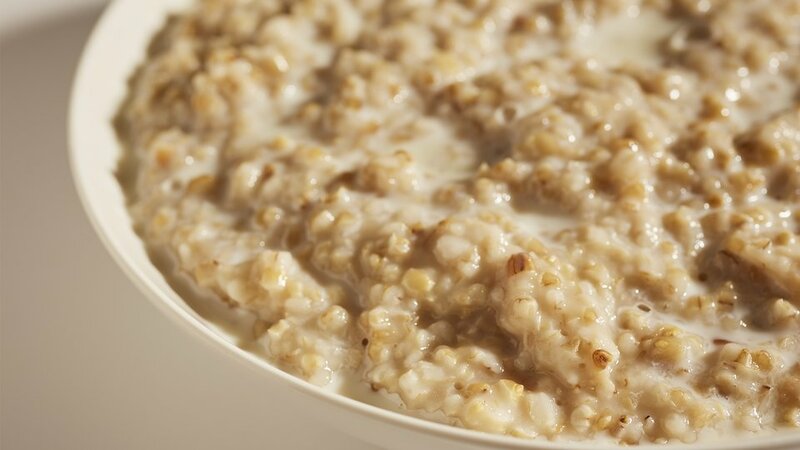 After oil is heated, add oats to pan and gently toast for 1-2 minutes. Add 1-3/4 cups milk and 2 cups water to saucepan and bring to a boil. Reduce heat, cover, and simmer for 25-30 minutes without stirring. Add in remaining milk and cinnamon. Serve topped with bananas or other fruits and nuts of your choice!